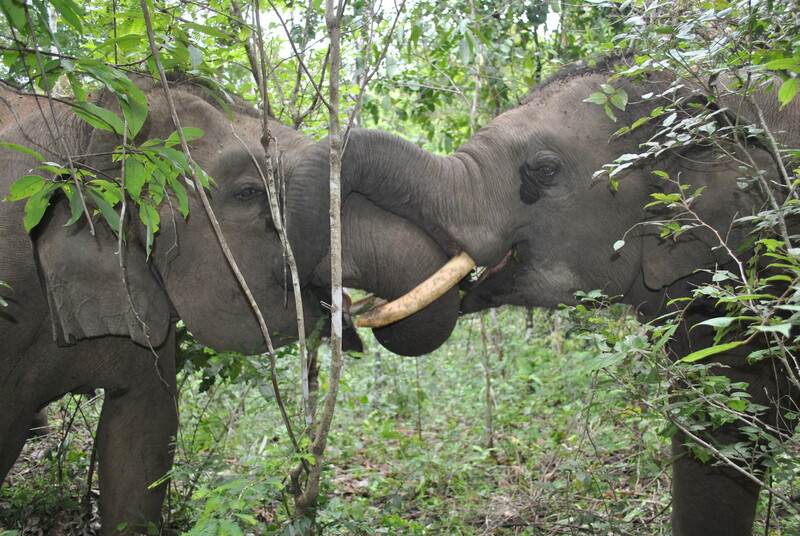 We currently run three internship programs; elephant research, teaching and photography. Places on our internships are continuous throughout the year but are subject to availability, find out more about what's expected below. Elephant Research interns are also expected to work Monday-Friday with the weekends free to explore. Every morning will be spent hiking to our elephants, collecting data on their natural behavior as well as assisting the staff with any visitors or volunteers. The afternoons will consist of data entry and completing project work with some evenings being spent giving talks and presentations on elephant research or conservation to create awareness and educate our guests. WHO SHOULD APPLY? This internship is an exciting opportunity for any current or recently graduated science university students who want more work experience or anyone with an interest in research or collecting data in the field. Applicants must have at least some previous data collection experience, but a small amount of training will be provided on arrival. Teaching interns are expected to work Monday-Friday with the weekends free to explore. Three times a week, our teaching interns will be spending their mornings and afternoons at the local hilltribe primary school, teaching grades 1-6 both basic and intermediate English skills and preparing the oldest grade for their end-of-year exam. Twice a week, the interns have the chance to join our elephant hikes and spend the afternoons teaching very basic English at the local nursery. Some evenings will be spent running an after-schools club and tutoring members of the community. WHO SHOULD APPLY? This internship is perfect for any teaching/university students who need more work experience, anyone with a TEFL certificate or anyone thinking of getting a TEFL and would like to help out a small hilltribe community. Applicants must have at least some previous teaching experience, but a small amount of training will be provided on arrival. A photography intern's days will be varied, mostly you will be hiking with the elephants, taking high resolution photos to help us with our social media but will sometimes be needed to go to the school or stay in the village to get some community shots. You will also be given a project to work on during your stay as well as helping the staff with any visitors or volunteers. WHO SHOULD APPLY? This is a great experience for any photography or marketing students or graduates who need more experience in the field or anyone with an interest in or experience of photography. All interns must provide their own equipment to bring with them.